Project Based Learning is a great way to teach content, as well as other needed skills (communication, teamwork, problem solving, technology, etc) - see related for more on these skills. Edutopia is a great resource for information and resources on Project Based Learning as it is one of their main topics. It's also a great resource for any educator for a variety of topics. Edutopia has a great article on a new Twitter chat, #PBLchat, that just launched in December. It occurs on Tuesdays at 9pm EST, 6pm Pacific and is growing every week. 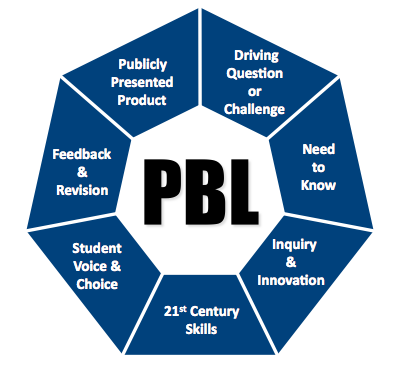 I'm a firm believer in Project Based Learning and Twitter as a resource for educators and #PBLchat just brings the two together.